The independent power supply requires no aboveground or underground wiring work, thus allowing for quick installation. Of course, no external power supply is needed! Extremely quiet even with wind speeds over 5 m/s. Due to the winglet blades and high precision NTN bearings, it has superior in silence, allowing for installation in residential areas. 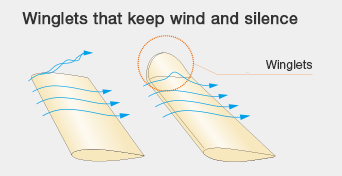 Winglets with tips canted at a specific angle generate a great amount of energy, not allowing any wind escape. Uniquely shaped of blades makes very little acoustic noise as the winglets prevent eddies (turbulence) and separation of the air at the end tips of the blades. 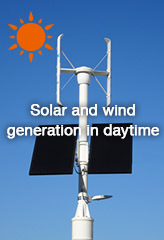 Rotation is initiated with wind speeds as low as 1 m/s in any direction (360°), providing stable electricity generation. With a full battery charge, 5 days power supply for LED lighting is possible. As air flows along the blade surface smoothly, it reduces the resistance, resulting in highly efficient electric generation. Brake is automatically applied at wind speeds of 12 m/s or higher. In accordance with the building standards act, safe performance is confirmed for a maximum instantaneous wind speed of 60 m/s. It has a color tone and form that is in harmony with streets, parks, bus stops, schools, and advertisements. *Appearance, specifications might be changed without notice. Light provides safety, even when there is an earthquake or typhoon. NTN Green Power Station provides security to residents by illuminating safe areas through evacuation paths. 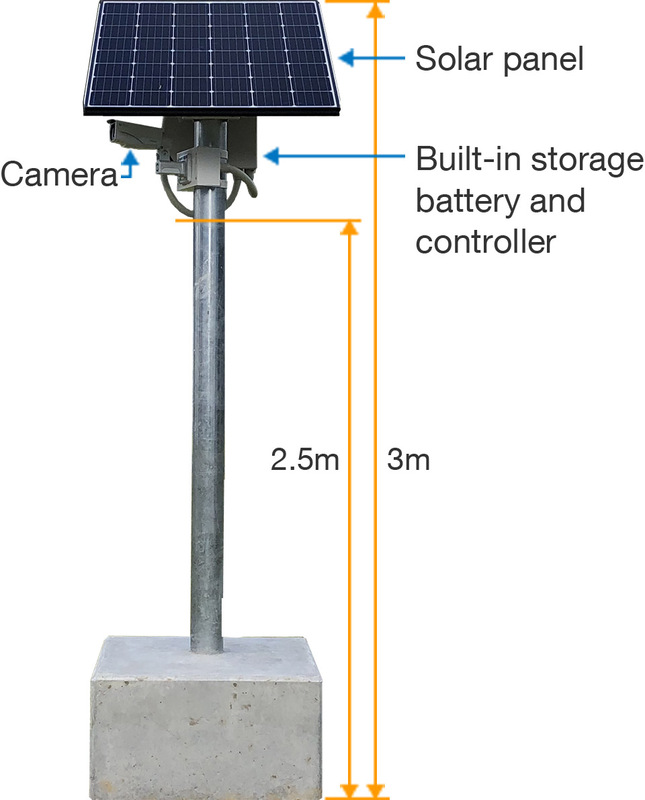 Independent type Green Power Station can provide light to protect the lives of residents in the area under black out by disaster.LED lights illuminate safe evacuation paths and areas, derived from green energy power by a combination of solar and wind during daytime and night time, in addition to the battery equipped. 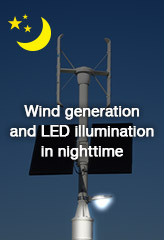 With power by wind and solar, LED lights are illuminated during night time by battery power. Makoto Iwai, representative director of Iwai Corporation - "Central Corp Kamisu"
During installation of new apartment buildings, we examined the possibility of installing environmentally friendly facilities, and installed NTN's Green Power Station. Turbine blades indicate that the building uses green energy, and people passing by also take notice. Green Power Station can also provide a source of power even if there is a power outage during disasters, which provides peace of mind to local residents. 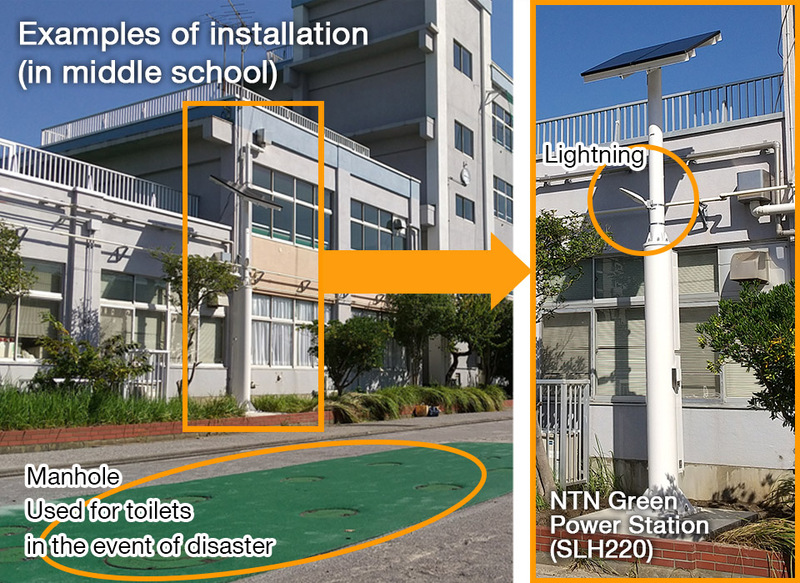 We are honored that NTN Corporation donated two Green Power Stations in support of the "2016 Junior Summit in Mie" held in Kuwana City as the main venue. 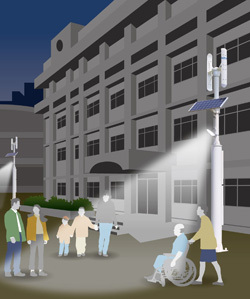 These street lights not only function as ordinary street lights, they also play a key role in activities promoting eco-friendly technologies as they use green energy in the form of wind and solar light. 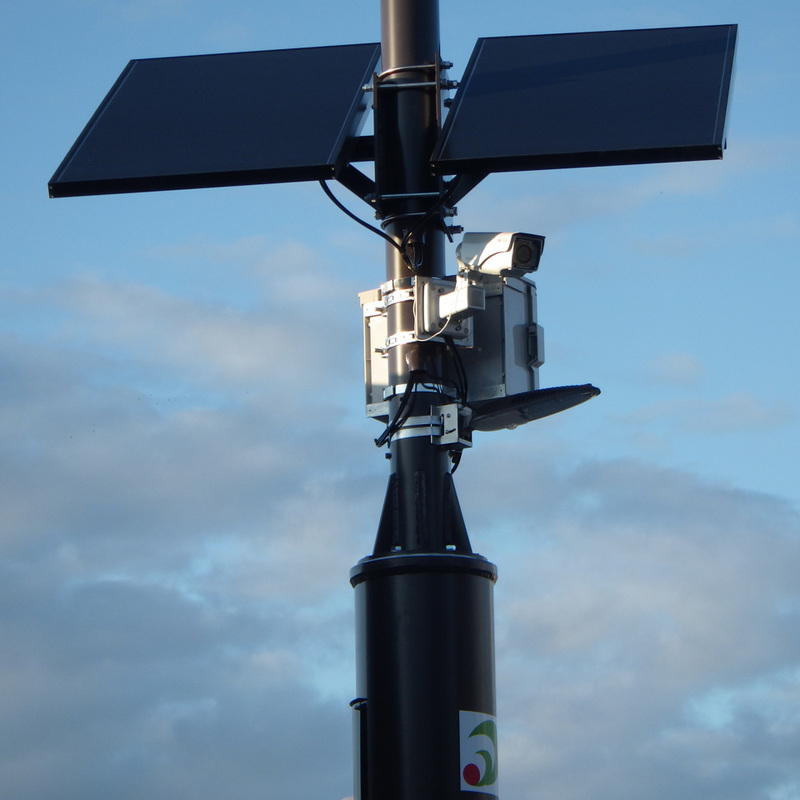 We installed these Green Power Stations in the parking area of a new plant that we constructed in the Shizuoka area. The street lights continue to light up streets with the power they generated, even if there is a blackout, which makes them useful after disasters and similar incidents. They are also stylish with their wind turbine complementing the solar panels, and we installed them as a symbol of our new plant. 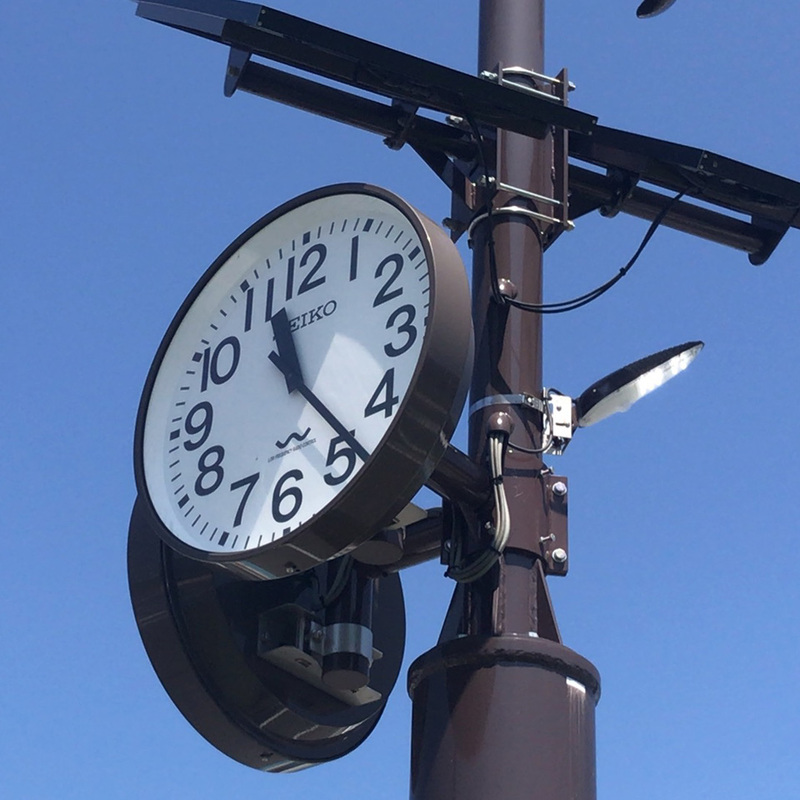 As part of support efforts for the Ise-Shima Summit held in Mie Prefecture, these street lights were donated to the Sun Arena in Mie Prefecture that operated as an information center for Japanese and international media outlets. In addition to being environmentally friendly, the design and other aspects match the facilities and they also look great as monuments. The following options are also available.